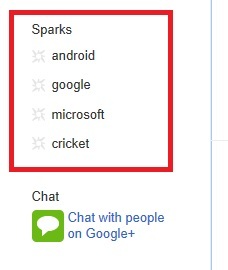 Google plus sparks is a new feature of Google Plus. Using Sparks you can get a constant feed of things that you’re really into and share it with friends. You can add your interest fields in sparks list. Just click on any image and it will be added in your sparks list. You can also search terms and add it in sparks list. 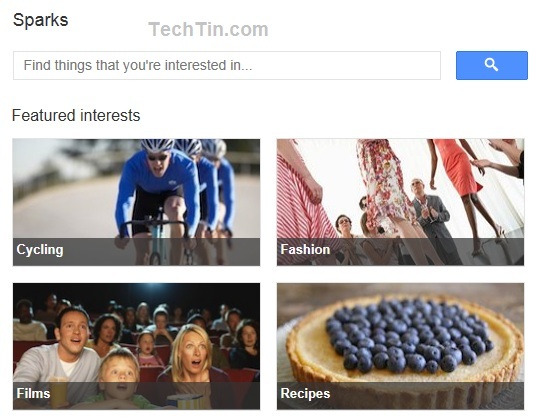 Once you have added some sparks, you can see news / feeds related to that terms by clicking that term. Its a useful feature to keep yourself updated with any of your interest field.